I find a lot of my customers wait till they are out or almost out of forms and there is NO ONE on Long Island or NY area that can do the job in 3 days without a rush charge, absolutely no one, not to mention, excellent customer service, price & quality. I recommend them to all my competition. 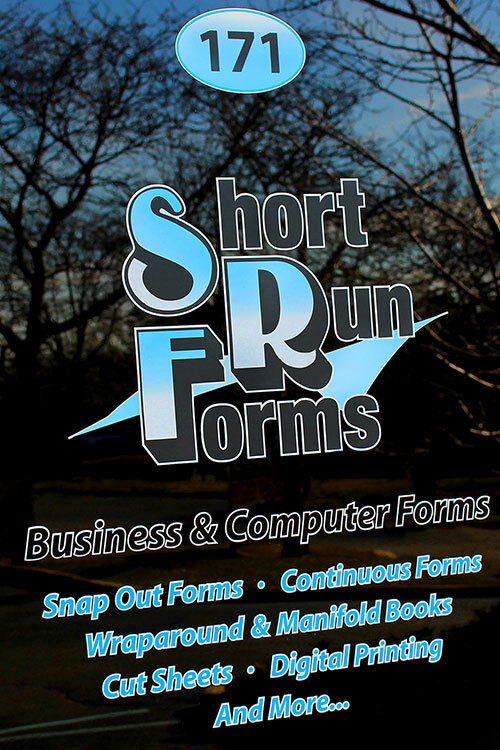 SHORT RUN FORMS HAS BEEN A TOP RATED PARTNER OF OURS FOR OVER TWENTY YEARS. THEIR CUSTOMER SERVICE AND TURN A ROUND TIME IS THE ABSOLUTE BEST. THEY HAVE ALWAYS FULFILLED OUR SPECIAL NEEDS WHETHER IT BE TURNAROUND TIME OR IN SHIPPING BY A CARRIER OF OUR CHOICE. WE CONSIDER OUR SALES REPRESENTATIVE TOM MASTROENI TO BE A FRIEND AND WE HAVE KNOWN HIM FOR OVER 40 YEARS. TOM ALWAYS OFFERS HIS ASSISTANCE WITH DELIVERY ISSUES OR SPECIAL NEEDS, BUT YOU CUSTOMER SERVICE IS SO EFFICIENT THAT WE NEVER HAVE TO ASK TOM FOR HIS HELP. My hat goes off to you!! Most brokers just complain and call when something may go wrong. 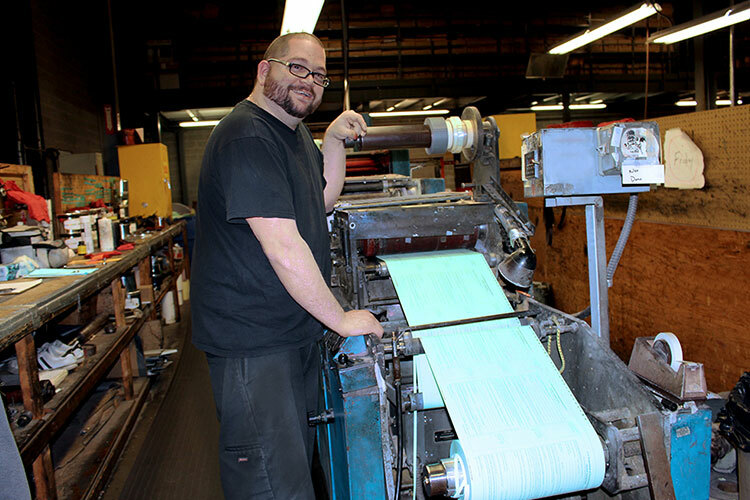 Here at E&M Printing I must tell you that out of ALL the manufacturers we deal with, and we do deal with many, there is no better customer service then Short Run Forms. I have been in business since 1970 (almost 47 years) and you and your employees are the most caring, concerned, “wanting to please” people that I have ever dealt with. Usually my production department speaks to the factories, but because I am involved with these large continuous orders, I wanted to be in touch with Short Run personally. I cannot say enough about Julie, Colleen, Michelle and Beverly. They really are gems, but I am sure you know all that. Keep up the good work and I am very pleased with Short Run after all these years. Excellent customer service, orders are processed on a timely fashion, deliveries are prompt and without discrepancies. Highly recommend using the services of Short Run Forms. Short Run Forms is a excellent company to work with. The quality of their work is second to none. They are a leader in our industry with their quick 3 day turnaround, which is helpful and consistent. I only wish I met them sooner. Short Run Forms delivers exceptional quality at exceptional prices. Deliveries are never late and in most cases earlier than expected. Customer service is without a doubt exceptional. I give them a AAA+ rating and they are my go to people. We enjoy working with Short Run. We have a very good sales representative, Jimmy (James). Short Run always provides us with our needs. Short Run Forms is, you guessed it, OUTSTANDING!! SRF provides great service, turnaround and quality…..always. You guys are Great! No complaints to harp about…Cant remember too many either…Enjoy working with you and your staff…..Great pricing and turnaround times. always a pleasure , fast service, good service, pricing always the best! Its a pleasure working with Short Run forms ,nice turnaround ,great customer service, Jimmy the salesman rep. Always stop in. Great service! Always fast turn around and quality work. Enjoy dealing with this company. Customer service is top notch. Salesman Jimmy is great to deal with. Delivery time is never a problem. We consider Short Run Forms at the top of the list of our printing partners. The customer service group does an exceptional job of getting us information and quotes accurately and quickly which allows us to respond to our accounts in the same manner. The processing of orders is achieved with the same level of competence, and the quality of the work allows us to be confident with any job we send. In comparison to our other vendors, Short Run Forms error rate is much lower. This is essential in not only our relationship with our accounts and their confidence in us, but not having to deal with errors allows us to be proactive in our overall sales plan, instead of spending countless hours on past orders with mistakes. In the rare occurrence of an order error, the response time to correct the error is efficient and we always receive an apology for the error. This may seem like a small thing, but it is not. We have vendors who have created many more job issues, they give us numerous excuses, but never seem to remember to be remorseful for the disruption in our day that errors create. I would also like to mention the customer service and shipping departments willingness to go the extra mile with any requests we may have. We have incorporated some additional shipping methods into our daily system to try to make sure we are providing our accounts with the best shipping rates we can. These methods are not always within the standard UPS shipping program that you are using at your location, but the customer service and shipping departments always process the shipments in the manner we request whether we are sending labels or shipping thru USPS. My experience with the Art department has also been positive, if a question arises with the art files we send, they always do a great job of verifying everything with us before they move forward with the orders. Our Sales Rep Tom Mastroeni is also very helpful and responsive and we enjoy his visits and knowledge of the business. Over the past year or so, we have noticed an increase in cost on some of the lower quantities (up to 2500 quantity) . Before this increase Short Run was always the best priced option, the increase has forced us to price compare on these lower quantities and some business has moved with customers who are putting pricing pressure on us. In addition, we have had some concerns on the darkness of the back printing of a handful of jobs. We normally request pms-422 gray ink for back printing to limit the amount of bleed thru to the front of the form, there have been a few instances where the bleed thru has been more substantial than in the past. GOOD CUSTOMER SERVICE, SPEEDY RESPONSE AND DELIVERY OF MATERIAL ORDERED. A PLEASURE DOING BUSINESS. SHORT RUN FORMS IA AN EXCELLENT FORMS MANUFACTURER TO PARTNER WITH. THEY HAVE EXCELLENT PRICING, TURN AROUND TIME AND WILL OVER EXTEND THEM SELVES TO GET YOUR JOB COMPLETED. its a pleasure working with Short Run forms ,nice turnaround ,great customer service, the salesman rep always stopping in. We’ve been very happy with the work done by Short Run Forms. Quotes are done quickly and accurately. Jobs are printed and delivered in a timely fashion. Great first time ordering experience. Great first time ordering experience. Will definitely order again. Our outside sales representative, Jimmy is attentive, courteous and always responsive to our needs. He is a pleasure to work with and always goes above and beyond. I have been doing business with Short Run since 2009. I increased my business with them in 2011 when Jimmy started stopping by to see me. The girls in the office are a pleasure to deal with as well. As the owner of Minuteman Press in Farmingdale since 1988, they are one of my favorite vendors. I have met the owner, Andy & he is a straight shooter. They are very accommodating. Looking forward to many more years of doing business together. Such nice people and best job quality!!! Professional quick response from quotes, to customer service to production. Easy to work with, easy to get quote and place order. Very pleased and looking forward to working with this company in the future. Short Run is great. Always super helpful and quick to get you a quote. You can call and speak to any of the reps and they know exactly what you need. They have a nice personal touch and I always look forward to seeing the Sales Rep drop by to touch base (drop off a coupon or two) and see how we’re doing. I’ve used them for multiple Minuteman Press locations, always a pleasure. DEALING WITH SHORT RUN A SHORT TIME VERY HAPPY WITH THE SERVICE . WHEN I NEED A RUSH JOB SHORT RUN COMES THROUGH WORKING WITH THE SALESMAN IS A BIG HELP PUTTING ORDRES THROUGH HIM VERY SIMPLE. I LIKE DEALING WITH THEM. Excellent pricing, quality and service! Excellent pricing, quality and service! Couldn’t ask for a better job from any forms manufacturer. 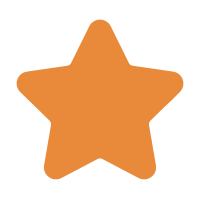 We just placed our first order with you and everything from the initial account set up, to quotes and final delivery were perfect. Thank you for delivering a product we are proud to sell to our customers. In all the time I have been working with Short Run I have received nothing but the very best service. More than once you prevented what would have been a costly and embarrassing mistake on my part. You folks are a delight to work with, and I hope to continue this great relationship in the years ahead. Always do a great job. And put the customer first with service. Very good service, quality printed forms and excellent customer relations! I like to make business with Short Run Forms thy make a nice quality of printing deliver on time. I wish you all the best. the lead times are tremendous. and to keep me informed as to anything new that Short Run might be doing. We love working with Short Run Forms! Office staff is always professional and friendly. Quotes are supplied quickly. Production time is fast and reliable. Printing quality is very good. Super Customer Service and a pleasure to work with them all! Extremely thorough and helpful. Excellent pricing. Absolutely one of my best Vendors!